At Mitchell Dental Spa, we may be best known for offering superlative cosmetic dentistry in a luxurious, relaxing environment with all of the amenities of the finest spas; however, we pride ourselves equally on providing quality general dentistry that allows our patients to develop solid foundations on which to build beautiful, healthy smiles. Our general dentistry services include periodontal treatments designed to keep our patients’ gums clean and disease free. Gum disease is the most common disease among American adults, affecting approximately 75 percent of the population to varying degrees. Distressingly, gum disease often does not produce obvious symptoms in its earliest stages, when it is easiest to treat. As a result, many people with gum disease mistakenly believe their mouths to be perfectly healthy. This is one of the reasons you should visit Mitchell Dental Spa for periodontal screenings and other general dentistry services at least twice a year. If you wait until gum disease produces symptoms, you will already have suffered at least some damage to the delicate soft tissues of your mouth. Fortunately, if it turns out that you do have gum disease, Dr. Margaret Mitchell is able to provide periodontal care of the highest quality. Among the most effective and conservative periodontal treatments available at our office is root planing and scaling. At our Chicago, IL cosmetic and general dentistry practice, root planing and scaling, collectively known as deep cleaning, can restore the gum tissues to a disease-free condition while helping to prevent recurrences in the future. If you would like to learn more about root planing and scaling, we encourage you to schedule your initial consultation with Dr. Mitchell today. Your mouth is naturally filled with bacteria, believe it or not. Whenever you eat or drink, you introduce further bacteria into your mouth. Hopefully, you don’t smoke, but if you do, you are truly tipping the scales in favor of bacteria, even if you brush and floss properly at least twice a day. Whatever the case, you can only remove so much of these bacteria at home. Some of the bacteria will hide beyond your reach in such places as beneath the gum line. Some will harden into a substance called tartar, which can only be removed by a dentist or hygienist. All bacteria will contribute to gum disease. Gum disease begins in its mildest form, gingivitis, which is relatively easy to treat. 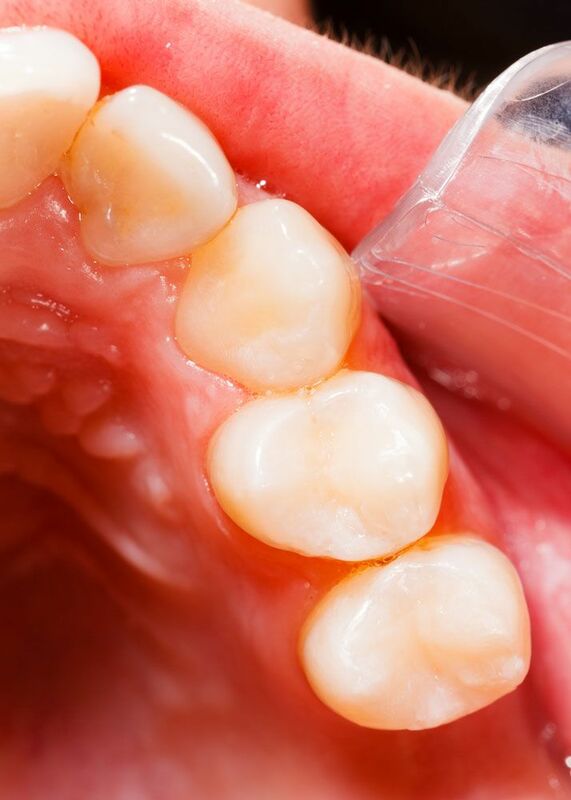 If left untreated, however, gum disease will develop into periodontitis, at which point gum recession, jaw bone deterioration, and tooth loss become increasingly likely. Root planing and scaling are performed together as a procedure called deep cleaning. During the scaling portion of the procedure, Dr. Mitchell removes plaque and tartar from the gum line and from within gum pockets that have formed beneath the gum line with a precision instrument. She then uses another instrument to perform the planing portion of the procedure, in which the root of the tooth is smoothed so that bacteria do not have any crevices in which to hide. It is also easier for the gums to conform to a smooth tooth root, leaving no space for plaque and tartar to accumulate. To learn more about root planing and scaling, please contact Mitchell Dental Spa.